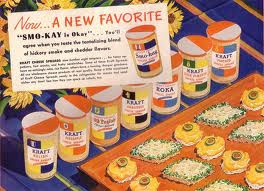 Okay, this is yet another post in which the graphic prop artist outshines the food props artist. In this case, the artist doing the outshining is Jill Lyons, the very talented and skilled artisan who does paper props and props painting here at the Rep. 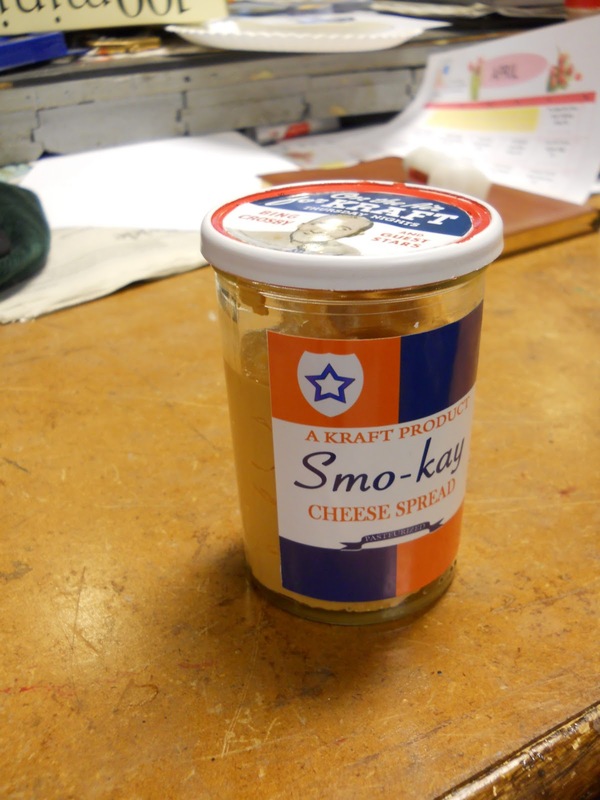 It was Jill who did the research on the cheese spread and Jill who made the labels- I just put some hummus in the jar. The hummus was an actor request. For some reason, he didn't feel like making a greasy, fattening cheese spread sandwich every night. He asked for hummus, and we all thought that it was a fine idea. We bought plain hummus, and used red and yellow food coloring to make it the delightful smoky color you see here. The healthiest story ever told, apparently. Alright, so I'm dressing a fridge for "Death of a Salesman" (Arthur Miller....swoon) that is going to be open for all of 15 seconds- if that. Now, the fridge should look stocked, and the dressing should look good, but there's no point spending an inordinate amount of time on a prop that will barely be noticeable. Here are two of the quickies that we used to dress the fridge. 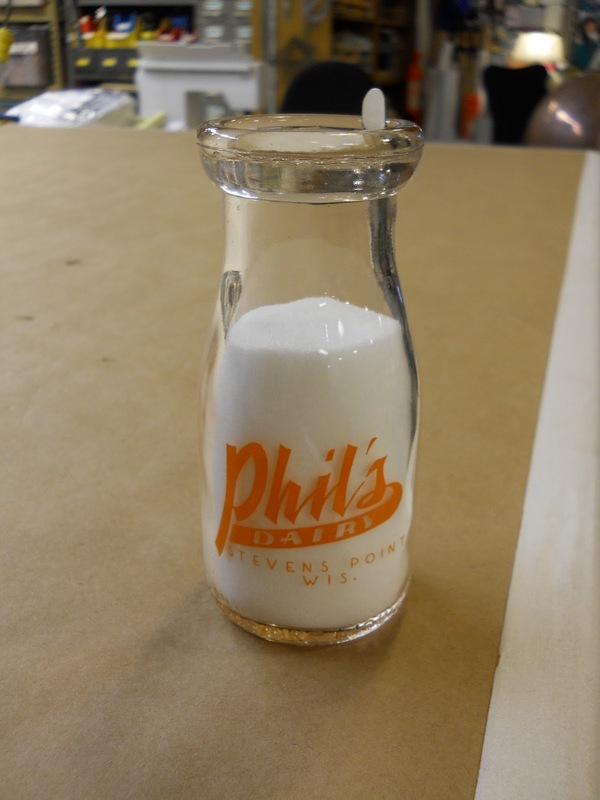 I picked Phil's Dairy because my brother is named Phil, and he is awesome. Well, this photo is pretty self explanatory. 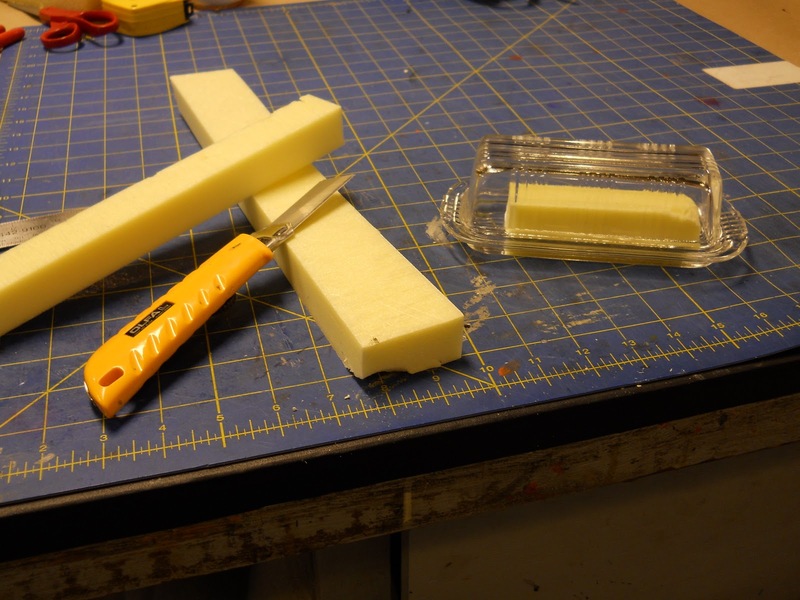 I cut a piece of yellow insulation foam and put it into a butter dish. Yup. So, as you can see, this is another post that just highlights my belief that, sometimes, the packaging is the most important part of making fake food look convincing. 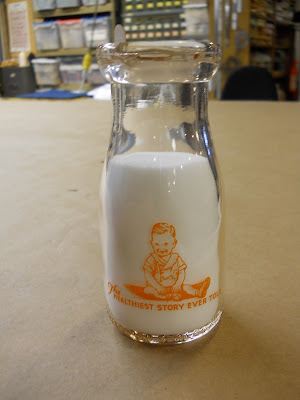 Salt in a bowl doesn't look like milk, and a chunk of yellow foam on a chair wouldn't look like butter. In the right context, however, sometimes all we need is that little nudge to get our brains where they need to go, and often, the simplest solution is the best. Happy Propping! *Yeah, I misspelled it on purpose, it's funny.